Red is very on trend right now. Only today did I buy my first pair of red jeans from Zara. Over the past few weeks I have been trying to think about what other items would go with red jeans without looking too garish. What do you think? Any colour ideas to match with red such as blues or greens? Or keep it simple with more neutral colours such as whites and creams? Soon I'll show you how I made the red jeans work with simple key wardrobe pieces and bold colouring statements. At the bottom I have selected some of my favourite red items out at the moment and some images that I would love to own for over the summer season, but also selected some individual pieces that will last throughout the autumn/winter. 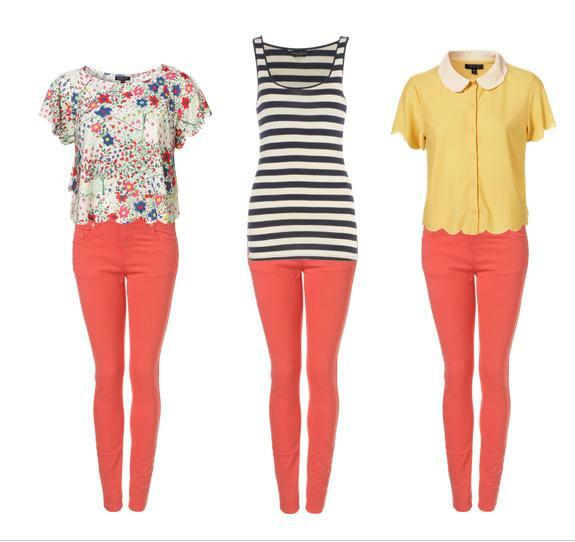 I would never have paired the red jeans with a yellow top but it looks FABULOUS. I think it would look good with some bold blues as well! Hey! I just stumbled across your blog! This is a fantastic post! I have so many ideas now for red jeans! Love all the outfits you created! I am in love with the red apple earrings! They would perfectly fit in my today post ! so much choices with the red trousers ! I think colors like black and white goes the best with red trousers. 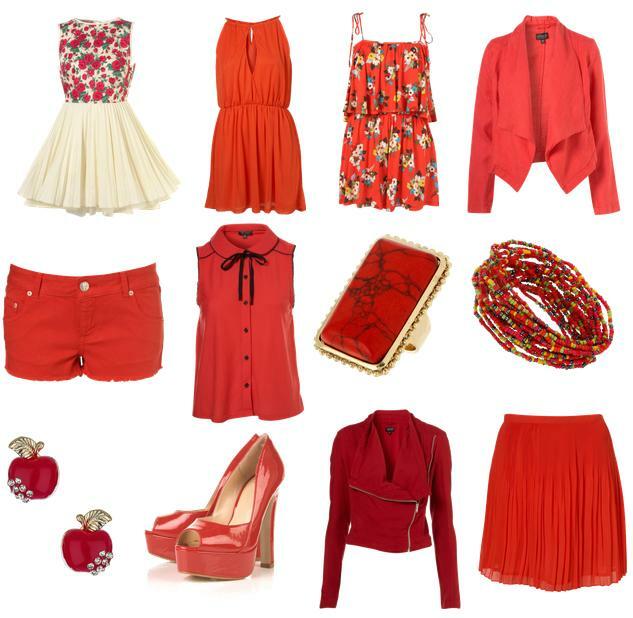 lovely choices, I really love the red jacket and the red top with the bow! i bought a pair of red shorts a while back and i still haven't even worn them! haha. i think i could pull off the coral better than red bc it's so vibrant. thanks so much for your sweet comment & visiting my blog. i hope to hear from you again soon, would love to have you as a follower! oh my, i wish i could call every single piee in this post my own. 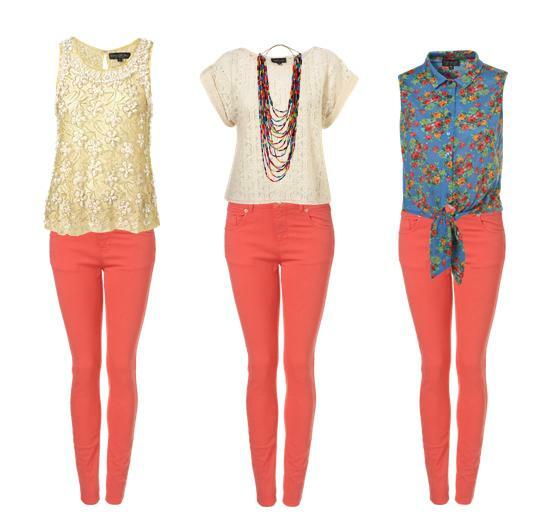 those different tops with the coral skinnies are oh so rad! loving red right now! especially for matchstick jeans like you got from zara! or on lips or pumps in the picture you posted! bring on the red!!! I love your outfits and your blog is adorable! I personally like the second row, far left look best. it really polishes the look to avoid being too hipster. i've got that red pair of hotpants from topshop i'm in love with them! You make me feel like buying one !